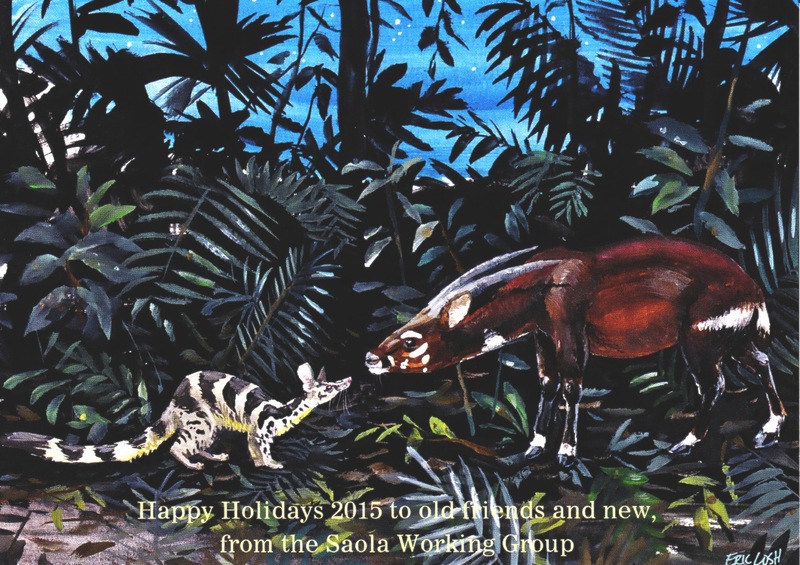 Saola Greetings, December 2015: Forests, beauty and gratitude. Pictured here with a Saola is another endangered species in the Saola’s range, Owson’s Civet (Chrotogale owstoni). Like Saola, this beautiful animal is a highly distinctive species in its own genus, and likewise is threatened by indiscriminate snaring for the wildlife trade. Since 2011, with your support, the SWG and our partners have helped to remove more than 100,000 snares from forests in Laos and Vietnam, helping to save much more than Saola. Thank you, thank you, from all of us in the SWG. 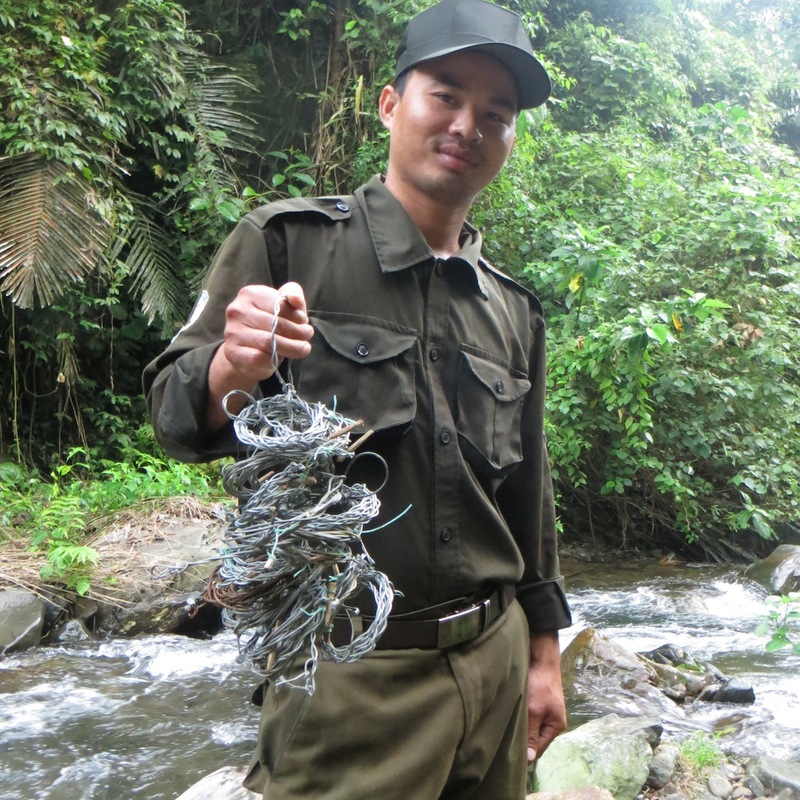 Mr. Hoa, a village forest guard in the Hue Saola Nature Reserve, Vietnam, with snares collected by his patrol team; November, 2015. The artwork for this card was again generously donated by Eric Losh. To see more of his sublime work, please visit: www.elosh.com. Copyright © 2015 Saola Working Group, All rights reserved.